A slightly tenuous link between these two pieces but I'm sure you'll indulge me! 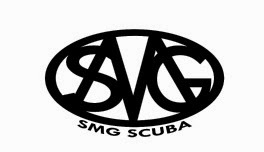 Both feature a final panel of scuba-diving that comes out of nowhere. 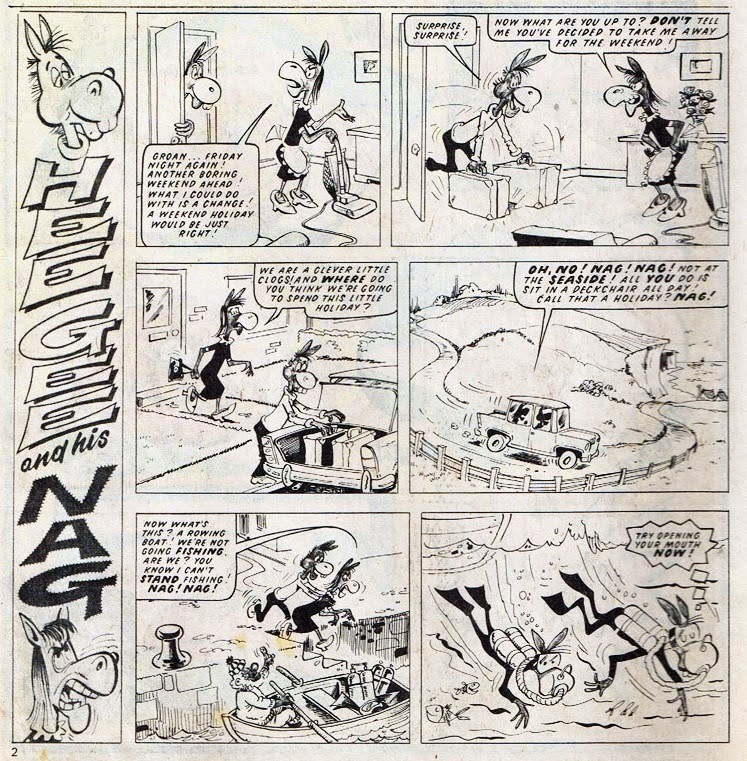 The first example comes from a 1974 issue of the IPC comic Whoopee! I believe the art is by Alf Saporito. 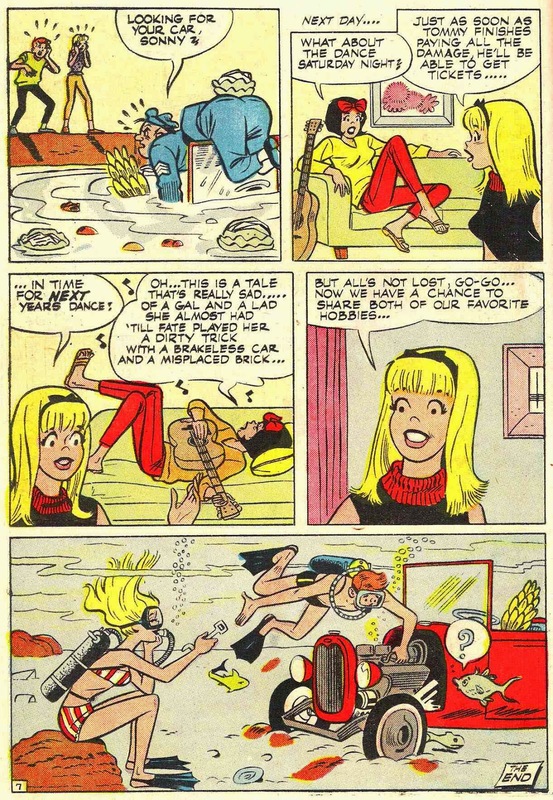 The second piece is from the first issue of Tower's Tippy Teen from 1965. Tippy has tried to show an interest in her boyfriend's car, leading to a series of disasters that culminate with the car at the bottom of the local lake. Artwork by Archie Comics' Dan DeCarlo, here doing a little bit of extra-curricular work helping out Samm Schwartz who had recently left Archie to help start Tower Comics. (Click for a larger image).